We often equate a large donation to a cause as a generous act. We praise the funds coming from donors with deep pockets that finally arrive at non-profit organizations that allow them to carry on with their missions. Donors expect to know whether their financial contribution will actually improve people’s lives, thus insist the recipient organizations develop metrics to measure the effects of impact investing. These efforts are laudable since donors can be transparent about what happened to their money and how it was used to improve others’ lot but has little to do with the nature of generosity. A small coin can be a generous donation if it is given with a sense of compassion. 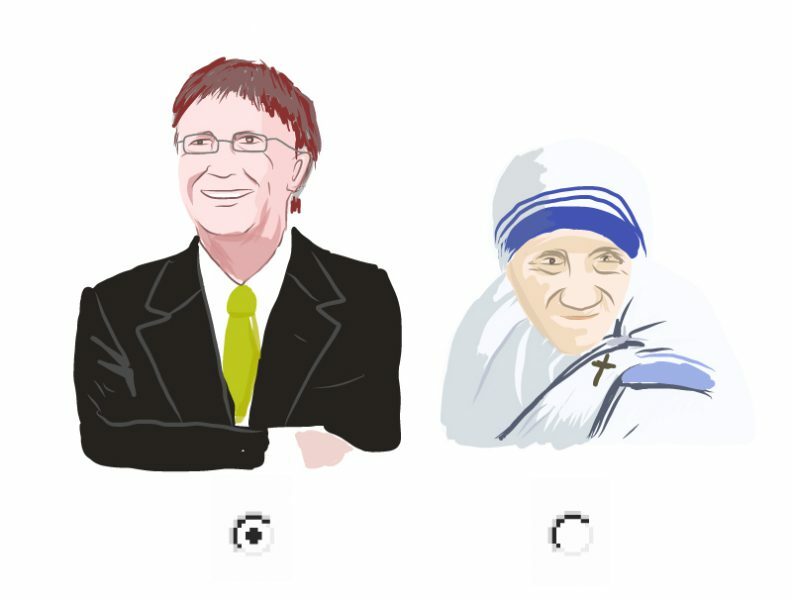 When comparing Bill Gates with Mother Theresa, one might argue that the latter had just as much impact than Gates but had a budget of zero. This Christian leader indiscriminately spent the only commodity she could spare–her time–with the most neglected members of Calcutta’s society, never expecting to be paid back. At my previous office, E Buró, we did volunteer design and communications projects for non-profit organizations working on a variety of areas like rural development, education and sustainability. Through that experience, we met one of our favorite clients, but in summary doing volunteer work as part of the business was not financially sustainable for the office. However, doing it on our own personal timeframes, made more sense.